Google announced its internet of things (IoT) operating system, Android Things, almost three years ago. Now, it’s ready for the prime-time, with the launch of Android Things 1.0. This major update brings increased hardware compatibility, and long-term support for production devices. But before we start diving into the news, it’s probably worth talking what Android Things actually is. As I mentioned, Android Things is an operating system for IoT devices — so, stuff like smart lightbulbs, thermostats, Wi-Fi enabled cameras. You get the idea. Unlike the mainstream version of Android, it runs on the most austere of hardware, and can comfortably get by with as little a 32MB of RAM. It sounds silly, but these are the type of hardware limitations often faced by connected device manufacturers. Despite that, it shares a common ancestry with the Android operating system that runs on your phone, which makes it easier for developers to apply their experience into this form factor. IoT coders can work with Java and Kotlin, and use the same developer tools that they’re familiar with. In short: If you know how to build a phone or tablet app, it shouldn’t be too much of a leap to build a physical computing product with Android Things. At least, in theory. And as you might expect, Android Things ties in to Google’s cloud services, like Google Assistant and Google Machine Learning. Over the past few years, Google has quietly worked on Android Things without much fanfare. It has, nonetheless, captured the attention of developers in the IoT space. 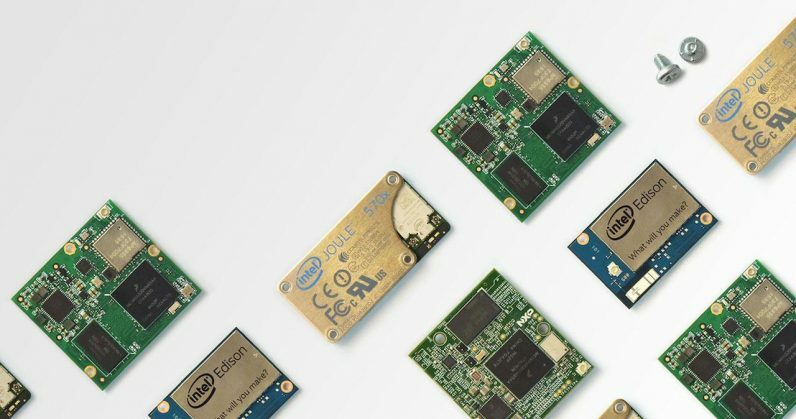 Google says the Android Things SDK has been downloaded 100,000 times, with the company adding that the feedback of over 10,000 developers has been instrumental in building it. With the launch of Android Things 1.0, Google is emphatically saying that it’s ready for the prime-time. Google released the first version of the software to the public in 2016, but this is the first one with long-term support. Unlike a pre-release developer preview, which might only get a few months of support, Google is promising at least three years worth of patches and security updates for this version of its IoT operating system. It’s also expanding support for the operating system onto even more System-on-Module (SoM) boards. Android Things will run on anything based on the NXP i.MX8M, Qualcomm SDA212, Qualcomm SDA624, and MediaTek MT8516 hardware platforms. In addition, it’ll continue to work on the Raspberry Pi 3 Model B and NXP i.MX7D. Both boards are incredibly popular prototyping platforms for Android Things. From a security perspective, Android Things is a welcome development. For far too long now, device manufacturers have been releasing IoT products with insecure default settings, and no prospect of performing any long-term security maintenance. The consequences of this can be summed up in one word: Mirai. Japanese for “the future,” Mirai weaponized ordinary IoT devices, and turned them into drones in a massive botnet. To be clear, Mirai isn’t the only particular malware that targeted insecure IoT devices, but it’s the most well known, and arguably the most damaging. Mirai was then used to fell a variety of sites and online services, like the blog of cybersecurity journalist Brian Krebs, to the Oracle-owned DNS provider DYN. The latter incident ultimately resulted in huge swathes of the Internet being rendered inaccessible, including Twitter, Spotify, and Github. We're monitoring an incident with our upstream DNS provider. Ultimately, Mirai demonstrated the need for developers to pay closer attention to IoT security, and Android Things addresses many of the pain points in this space. For starters, it abstracts the application from the underlying operating system. Because Android Things is a managed operating system, developers don’t really have to think much about provisioning and maintainance. It deals with that for you. Here’s why that’s important. Building a piece of software is a fundamentally different discipline from, say, hardening a Linux install. If you’re a one-person-shop working on a product, it’s not unreasonable to think that you won’t have all the skills required. It also offers device manufacturers — and therefore buyers — the comfort of knowing that the underlying operating system will receive updates for at least three years, which could conceivably be the lifecycle of the device. Google also points out that even after a particular version of Android Things has been sunsetted, manufacturers can continue to issue software updates to their own applications. Even before its official release, Google has already scored some impressive wins with Android Things, and has put it at the heart of several exciting tech products. Google is quick to highlight the more consumer-oriented devices that are built on Android Things: this includes smart speakers from LG, to smart displays from Lenovo and LG. Android Things is also used in areas where precision and sensitivity is a must. The Sensor Dot docking station from ByteFlies, for example, allows the user to securely transmit health information from home to a remote server. It’s also found success in the kind of applications where you might traditionally find a Raspberry Pi or Arduino board. In Montreal, you can find the Android Things-powered Mirego, which is a network of photo booth-driven displays in Downtown Montreal. Android Things 1.0 is available from today, and I’m really excited to see where it’ll go, as it represents a major leap forward for IoT development. You can read the release notes here. To start hacking, head to the developer site, where you’ll find everything you need.